The fun is back at Holiday Inn. Experience the fun at the Holiday Inn &reg Raleigh Durham Airport. Enjoy our full-service amenities a restaurant & lounge, indoor pool & fitness center, free high-speed Internet access, free business center, our new bed & bath bedding program, free local phone calls, complimentary airport shuttle and meeting facilities. 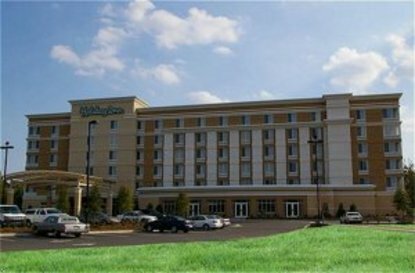 The Holiday Inn &reg Raleigh Durham Airport is located near RTP, NC State University, University of Chapel Hill, Duke University, RBC Center, Carter Finley Stadium, Streets of South Point, Prime Outlet Mall, Carolina Sportsplex , SAS Institute . Whether it is a business meeting or family vacation we have the quality and service that you expect from a name you can trust, Holiday Inn Raleigh Durham Airport. This hotel is committed to providing accessible facilities under the American Disabilities Act. If your accessibility needs are not met, please contact the Hotel Manager on Duty. Should you require additional information regarding accessible facilities for guests with disabilities, please call 1-800-Holiday (U.S. and Canada) or contact the hotel directly. For the hearing impaired, TDD service is available at 1-800-238-5544 within the U.S. and Canada.